My name is Eduard Schaepman. I'm working already for more than 30 years. In the office, the industry is about 15 years. I worked for business center operator called Regus so I have been setting up the Benelux for them and grew that very fast. Then I went to the area of real estate owners and within two years I saw the big real estate portfolio or request of the owner. I thought, what should I do now and I was still very interested in the very nice industry called remote officers called coworking called business enter called meeting room because everybody is busy with getting real estates flexible in a kind of way. I thought that would be a better way than Regus. That's the idea behind setting up Tribes. 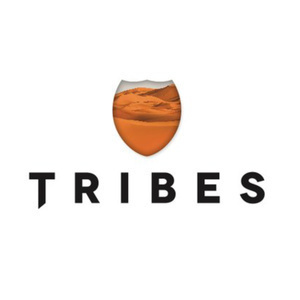 Tribes was based not only on flexibility in real estate but also based on some history and heritage. 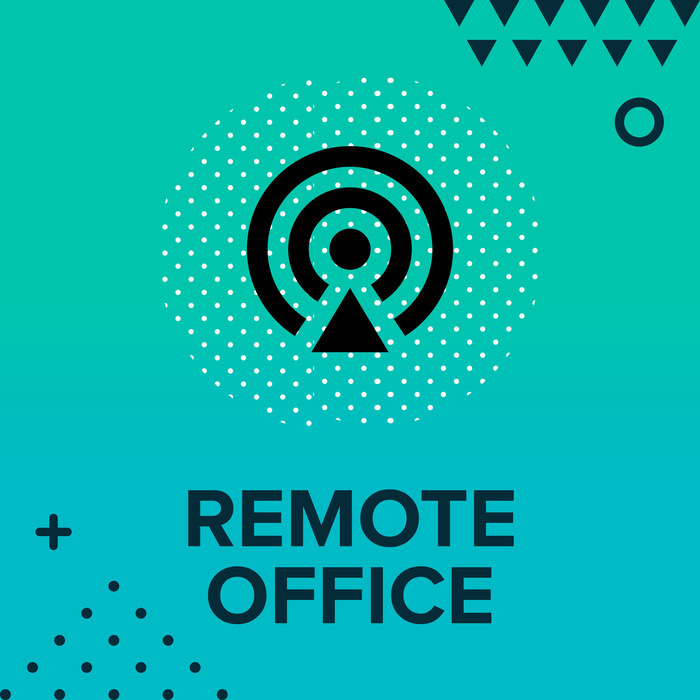 If you really look at the market of remote offices, we see a lot of digital nomads working in those places more than 1.8 billion in the world. There are a lot of people who are able to work on a remote base, you only need your laptop your smartphone and you can work everywhere. I went into history and I have found the doubt because of my own heritage. There were in the past a lot of before religion existed, a lot of different nomads, traditional nomads people who traveled from not only A to B but from A, B, C, D and Z. They went there where their businesses like my own family which is very old family. They were shepherds in the past and it presents. They didn't mind to travel because the mind needs to travel to be creative, what they did and in that search, I have found it out that there were also existing traditional nomads like the Kazakh, Changpa, Massai, Suri, Maori. And I found out that those people were still traveling and still very creative, very innovative, those group what we called the 35th Tribe. Digital nomads want to be inspired though people want to meet other people so they want to meet people also in a professional area where they can have a debate on their subjects etc. Then we're going to try to set up a company called tribes. We will put one building coworking, meeting rooms conventional-lease, restaurants, cafes, bars where people can meet. We started in doing so we wrote a plan together with my co-founder Jasper Bekkering, in 2014 when we still working on this big real estate firm. In 2015, we announced the first one to be opened in May. The first one we opened in May was in Eindhoven the Silicon Valley of Europe so-called near to the high-tech campus and was very successful. Now we are 2 years in a row and just announced 16 locations yesterday. Yesterday we are already in the city of Schiphol, Amsterdam, The Haque, Rotterdam, Eindhoven, Utrecht, but also in Brussels with three yesterday we announced that we will enter a lounge in a new country Germany. From now on, every week there will be communication of tribes because we're growing very fast. A lot of people do not want to go anymore in just a remote office, in a flexible office but something which brings them more than only the desk. What we bring more, besides all the services is the community based on nomadic life and we have a lot of stories to tell about indeed those nomadic people and what can we learn from them. We took five-star interior concept when designing coworking. The reason behind it, if you look at the business center world, if you look at the coworking world, media room world this 15years old. Likewise, when you look at the hotel world this world is thousands of years old. People are going to qualify us with a one two three four five-star we are qualified as a five-star operator because besides a work office space, we also have terrific restaurants bars, fitness you also can make your own suit here, tailor-made. We have every service you can fix to have is in the building so what I always saying is computers will be still there but the office is not. What happens where's the officers the officers will turn into an environment where there is more to do than only working because people want to be as efficient and people are not only working but people still want to contact and people still want to commute and still want to meet people what we are trying to build in those offices in areas where people really can meet each other see each other talk to each other and work together or just laugh together. We have a different designer for every building, we have a different photographer because we use a lot of photos. From those traditional tribes today, I'm in tribes Amsterdam with the Suri which is a nomadic population from thousand years old originally from Africa. If I look around I can see a lot of pictures from those tribes and I see the colors used by those tribes. I know there is a workshop going on competitiveness which is typically something that the Suri tribes are pretty good in. Every different location has a different hero tribe with different colors, different designs and different workshops. The reason why people really like to travel around. The only thing is, if we nowadays travel around and we go from Amsterdam to Shanghai to Singapore or to New York, we will always find the same Hilton Hotel, the same McDonald's so they are look alikes. With us, it's not a look-alike. Everything is different, every building is different therefore people are still going to travel around. Instead of always looking into the future, we look more and more into the past and what can we learn from the past. We sell the booklet and goes directly to an organization called Survival international. Survival International is the green peace for people. They see through that those nomadic spirits still and live in an area. Those tribes do not know what property is. They do not know that the land they walk on it's from the government. They do not know that it works in that way. Survival International will help those people still to live in the way they want. I have gone to four different tribes. We also have movies on that. One was the Kyrgyz and next week we will announce another one, those are the Berbers from Morocco. I went there on a visit and from 20 minutes which is broadcasted on TV where people can learn from it this nomadic tribe. I am also hosting that in an EDL program, in RTL on business. We do show every week, so we can learn from this tribe. We have in our tribes locations examples of how those people live then designed in the different colors and the materials. You can buy that book by to come to a tribe's location there you can see it in tours it and then you can buy it. The coworking and development in the Netherlands is not as fast as in the US or in the UK but it's coming. We are faster than in Belgium and in Germany but not as faster than in the Anglo section countries. We only are open for two years now and we already have six location is in amsterdam so that went very fast. So, there is room for coworking absolutely. We do have other competitors in amsterdam, WeWork, Spaces etc but not as much as for example in london where you do 250 different concepts. In the US, you even have far more. We do have a very strong branding and we are a very well known brand in the Netherlands, Belgium and now in Germany. And that's the way people do know us. First we build a reputation then we make a relation then the trades come. We have done a great effort in building our reputation and from that, the relation starts. We are visible on the web, we are visible on Instagram, we are visible on Facebook. We have the biggest Facebook group on coworking in the world not only in the Netherlands but in the world. If you go to Instagram it's the same if you go to Linkedin this the same. We build our reputation, from there reputation a relationship, we've built will become a client in the end. We also plan to expand more and all this already written down in the newspapers what we're doing at the moment so by the end of the year, we want to have 18 locations. Next year, we will plan to add other 17 locations. Most of our clients are corporates from all over the world and 30 percents are local entrepreneurs what you see in our location especially in the combinations like Amsterdam and Brussels that we have a lot of people from London, the US from out of the East, and Asia. The marketing is quite simple. We get a lot of free publicity because we give something back to the society, to the tribes, to the survival international. Therefore on a weekly basis we are in a national newspaper like this week again, before coming week and next to that. We combine that with social media so that's our marketing strategy. Building a brand and from that strong brand, you will get customers who really like it, the way we are setting it up. The biggest one is that we do everything for a client, when they work for us so they can focus on their core business so we do all the rest and they can focus on the core business besides that we learn them a lot and I will workshop on the different ways to work the life balance or what do we do and what do we learn from those different tribes and so for us we think that working is great but you also should communicate a lot with all the other members so you could learn from them and you get a more balanced life and therefore be more productive than a lot of others. In 10 years time, we are company have 2000 locations all over the world. The song is by Tab & Anitek under CC license.